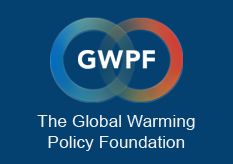 Benny Peiser, Director of the London-based Global Warming Policy Foundation, appeared in the Japanese Yomiuri Shimbun, the world’s leading daily in terms of circulation. Dr. Peiser gave a lecture at the Cannon Institute for Global Studiesin Tokyo on October 1st and this was the basis for the Yomiuri Shimbun feature article. Kirye, who wishes to remain anonymous, said she became skeptical of alarmist climate science in 2013 after having read books by Dr. Kiyohiko Ikeda, Shigenori Maruyama and Kiminori Itoh — rare dissenting voices in Japan.